In this month's MEGA, my feature on mainstreaming renewable energy use and sustainable practices lists several ideas on how to lead an eco-chic lifestyle. While living green has become more doable with the emergence of innovative environment-friendly products and services, various industries still have a lot of catching up to do. Players in the fashion industry, in particular, may have created or endorsed products that care for the environment, but once you hit the mall to shop, you wouldn't see a lot of stores that promote such. While we continue dreaming of going fashionably green, BreadTalk is giving us a glimpse of what we can hope for in an ecologically fashion-forward future. Get a chance to bring your green getup to life and win a shopping spree by joining the BreadTalk Mannequin Contest. 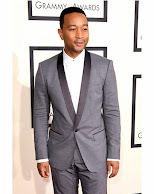 You don't need sewing skills or a background in fashion design to join. 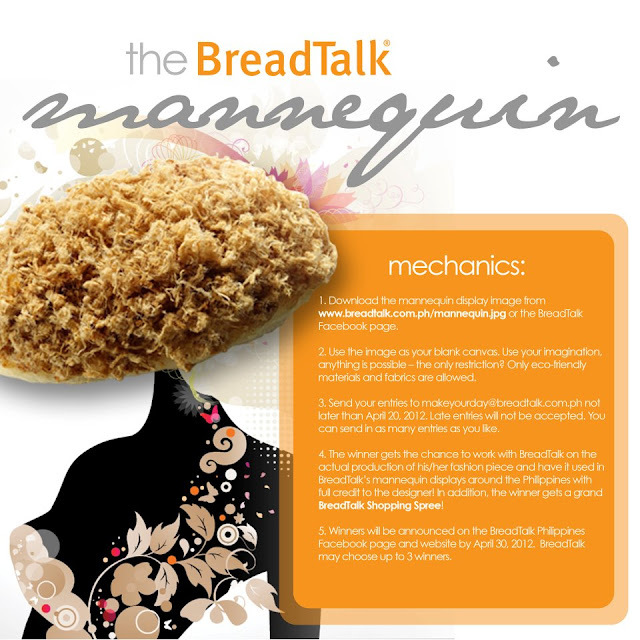 Just use the mannequin display image that you can download from www.breadtalk.com.ph/mannequin.jpg or from the BreadTalk Philippines Facebook page as your blank canvas for an outfit (or outfits!) made of purely eco-friendly fabrics and materials. That's right--you can send in as many entries as you like! Make sure to email your designs to makeyourday@breadtalk.com.ph on or before April 20, 2012. I'm seriously considering joining, too!